Flooring options have changed over the years. Wilson’s offers a selection of products that suit the needs of your family today. Stop in to see the options available. Find something you love? Our expert installation team can make your vision a reality. We offer vinyl flooring from Tarkett, Flexitec, and Armstrong. All offer an array of choices to meet every style and taste so you can create the perfect room for your home. Vinyl flooring is low maintenance but built to withstand life's daily challenges. Vinyl flooring protects against day to day wear for long lasting beauty and are practical anywhere - from kitchens and baths to family rooms and basements. 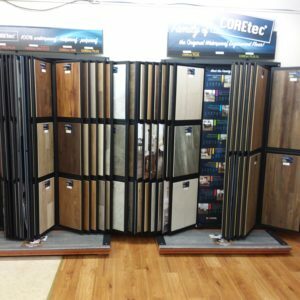 Luxury Vinyl Tile and Planks by COREtec are 100% waterproof, kid-proof and pet proof! Coretec has a high density, extra strong and dimensionally stable composite core made from virgin polymers, recycled wood and bamboo. This provides a waterproof core with a permanently bonded luxury vinyl wear layer. Nothing says classic elegance better than Coretec's Luxury Vinyl Tiles with natural stone looks. Resists cracking and is warmer to the touch than traditional tile. Alterna Tile absorbs sound and is softer underfoot. It also is easier to care for than traditional tile in that it repeals stains and soil. Alterna Tile never needs to be regrouted. 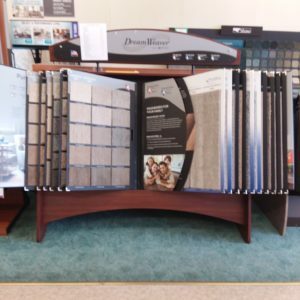 See our display for Alterna Tile’s large selection of design and color choices. 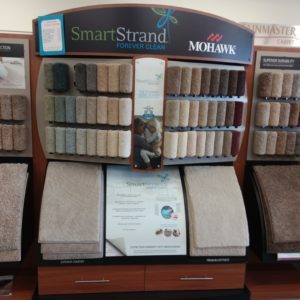 Our floor covering department features Dreamweaver Carpet made by Engineered Floors, Shaw's Lifequard Collection, Dixie Stainmaster Carpet, and Mohawk Smart Strand Forever Clean Carpet. Carpet is softer underfoot and helps keep your room warmer. 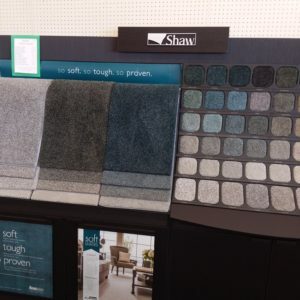 See our sales team for help selecting the right carpet for your room. 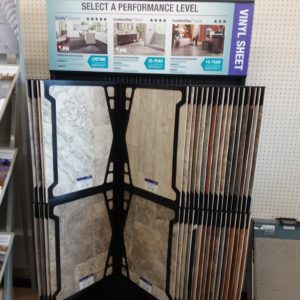 Ask about installation of your new flooring. Wilson’s expert team has the tools, training and experience to complete your flooring project.